Sleeping kitten personalized letter opener adds an adorably elegant touch to your desk and makes a unique gift. High-quality, heavyweight 24K goldplate over brass. 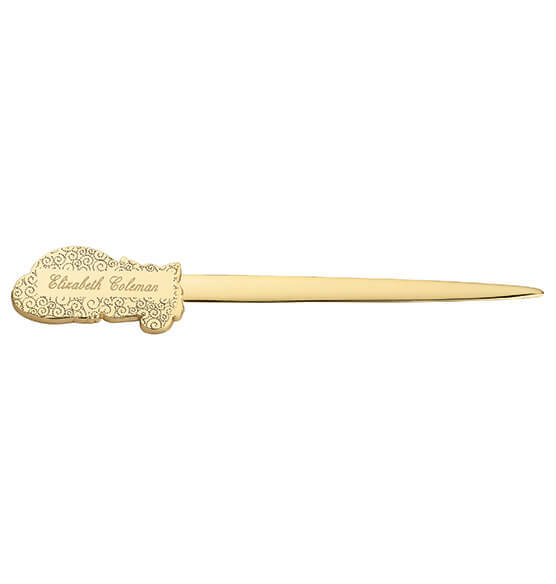 Cute letter opener measures 7 1/8" L. Specify name, up to 20 letters/spaces. Gold kitten operner with my name engraved on back. I use it to open my mail. 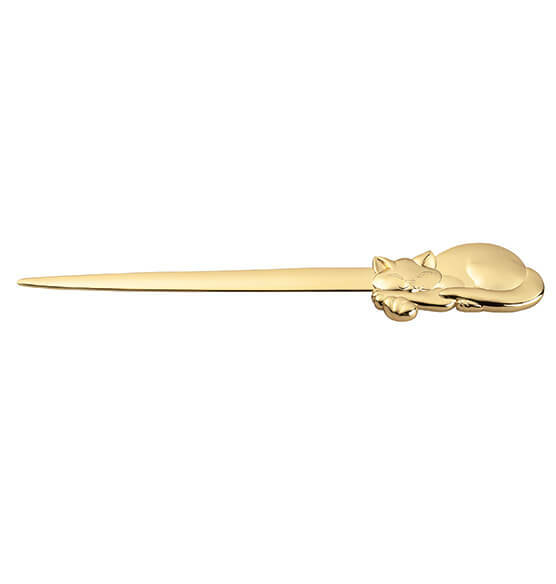 I love cats so I definitely really like this cat letter opener!!! Makes opening mail so much easier!! I am a cat person! And I absolutely love that cat letter opener plus have my full name on the back in such classy style make it more adorable!